Rachel Spinelli Punched Me in the Face (Paperback) | Let's Play Books! Zachary's mom just up and disappeared from their home in Copper Lake, Colorado. The good news is that Zachary and his dad are trying to move on, and Falls, Connecticut, is just the place for a fresh start. 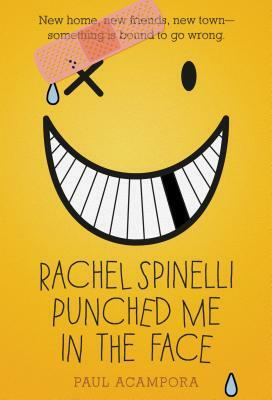 With the help of a new friend, Rachel, and her brother Teddy, Zachary is learning about new beginnings, the power of forgiveness, and the quirky people that make life interesting, in Rachel Spinelli Punched Me in the Face by Paul Acampora.